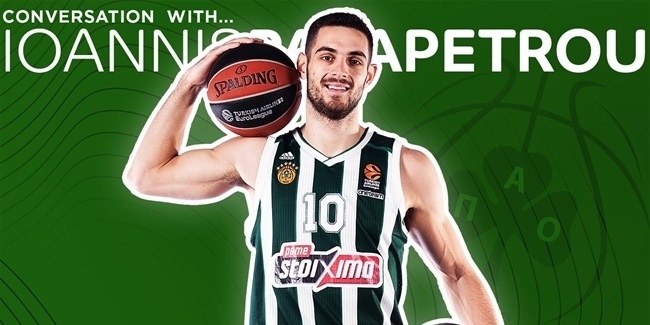 A lot was said after the Greek Derby, in which Panathinaikos OPAP Athens beat Olympiacos Piraeus 93-80 to go up to 4-2 in the Turkish Airlines EuroLeague Regular Season standings, but perhaps the best and most accurate analysis came from one of the main players in this game. James Gist of Panathinaikos spoke in a flash interview after the game and gave the biggest keys to this intense, outstanding showdown. "I think two of the guys really helped us out and gave us a little kick. 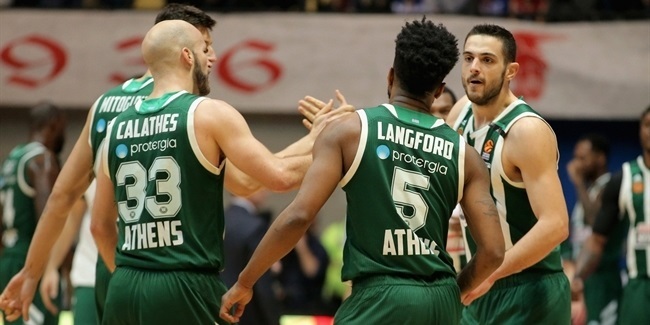 One of them was Thanasis Antetokounmpo - he brought nothing but energy in the third quarter, from the beginning, all the way until the end of the game, every minute he was on the floor. He really gave us an extra boost that got the fans into the game. And the other guy was 'Leka' [Lukas Lekavicius] - he came in and gave us a really good spark on offense and defense. They picked it up for us and everybody else followed behind," Gist said after the game. Indeed, Lekavicius led Panathinaikos in scoring with 17 points and Antetokoumpo had 10 of his 12 points in a 12-1 run that allowed the hosts to get the lead for good. Lekavicius and Antetokounmpo contributed off the bench and they weren’t alone because Panathinaikos's bench players made the difference in this game, combining for 48 points. Olympiacos's bench players scored just 18. Gist went on talking and gave the second key to this game: "In games like this, you have to show that you want it more. It is not about the Xs and Os, it is not about the strategy - it is a dog fight and who has the biggest fight, who wants every ball, who wins every possession. The name of this game - 'who gets more possessions wins'." The numbers prove that Panathinaikos truly wanted it more. The Greens pulled down 20 offensive rebounds, tying the competition's season-high. It also tied a club record - Panathinaikos only pulled down 20 offensive rebounds once before, against Zagreb on November 30, 2011. Panathinaikos also added 6 steals and 3 blocks, dominating all the hustle stats.